It has just been reported that New York's Saint Patrick's Cathedral will undergo a $175 million restoration over the course of 5 years. 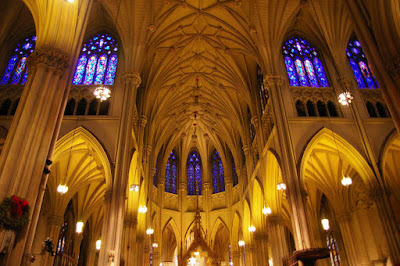 I have a great deal of affection for the magnificent St. Patrick's Cathedral; it is where my grandparents were married. It was built for the greater glory of God by generations of poor immigrants, and it is an unintended monument to their courage and faith. One feels in St. Patrick's Cathedral an ineffable sense of the sacred, a connection to the divine, not always apparent even in the most august churches and cathedrals. It is truly the heart and center of the city. We should rejoice that this great prayer in stone will once again gleam the way it did on the day of its dedication. However, if it is possible for the New York Archdiocese to raise $175 million for the completion of this project, it should be possible to raise sufficient money to endow the schools and hospitals of this and other dioceses before any more are lost. As we have written previously, the parochial schools of the New York Archdiocese and its neighbors are also the legacy of saints - thousands of dedicated religious sisters, brothers and priests gave their entire, holy lives. And those institutions were also built with the contributions of a laity that was far poorer than that of today. It was these institutions that formed the Church militant and ensured that the culture was transformed by the living God and His Word. By the time Saint Patrick's Cathedral was built in the nineteenth century, three successive Councils of Baltimore had not only affirmed the importance of formation in Catholic schools, they committed themselves to building a massive parallel school system. 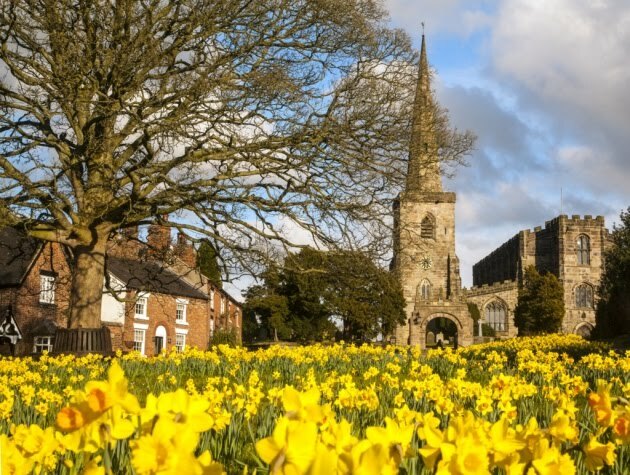 The bishops agreed that every parish should have a tuition-free Catholic school, supported by the whole parish, and instructed parents that they “must send their children to such schools unless the bishop should judge the reason for sending them elsewhere to be sufficient.” What meaning will a great gleaming cathedral have, if no one remembers why and for Whose glory it was first built? 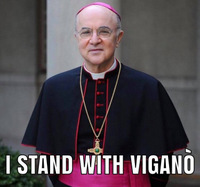 We have great hope and expectations for New York's new Cardinal Archbishop. He is a man whose intellect is as large as his very buoyant and good heart. As the scholarly new president of the US Conference of Catholic bishops, we hope he will restore in our day the dedication that the Cathedral's builders also had to a vibrant school system which forms whole persons in the faith, and through them transforms the world. I think this is gonna be a tough sell. 175 million would save a lot of starving children, leave the building as is and go save lives, I'm sure God won't mind.